Yes it should be. Because we learn best when we’re relaxed. But most learning isn’t fun at all. If I told you that you have to learn how to learn the new version of a program, would it be fun? If I told you that you have to learn the chords to a new song would it be fun? If I told you that you had to drive to a new part of town, would it be fun? In most cases, the brain has to literally go into a focus mode, because the learning is new. And that put enormous strain on the brain. The more complex the activity, the more the brain needs to work out the steps and master them one by one. And learning becomes difficult. Even tedious. Because you’re making so many mistakes. 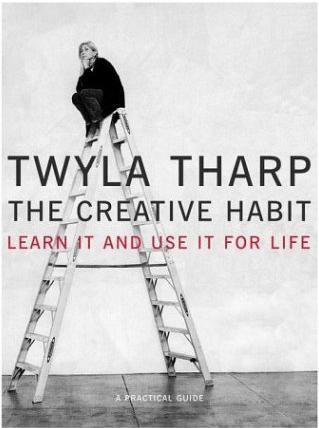 Twyla Tharp is a world-famous choreographer and the author of the book: The Creative Habit. In the book she talks about the fact that talent is created by habit. And that while habit doesn’t have to be routine, it has to be prepared for with routine.And routine often means doing the same thing over and over. And over again. Always tweaking. Always improving. But always aware that the fun begins once you’ve stopped making squillions of mistakes. Because learning can be designed to be fun. And you can have lots of fun learning a new skill. But most learning isn’t fun. Because most teachers/trainers/coaches take themselves so darned seriously. Which means there is the boredom factor. And you will run into that boredom factor. And if you can get over the boredom factor, you’ll get a factor of mastery. And that’s when it will truly be fun. P.S. When I learn a new shot in badminton, it’s not much fun because I have to learn two-three things to get that shot right. But as I master one thing, then the next, and then the next, I get more control; more mastery. And then it becomes fun. Of course what’s really a lot of fun is simply going into the game and winning all those points playing the shot well. I clicked on this site after receiving an email from you concerning the photo contest. doing it over and over again to groove the action. place your results against those who are better so that you can see differences. look for things that are the same or close to it and things that are way off. I have been improving everything from just one course: Attversumption using this method above. thanks for the good articles I like these much more than even the newsletter stuff. Next post: How do you get exceptionally good?